I LOVE December! I can’t help but get super festive and excited. The mulled wine comes out, as does the tree, and all my favourite spice blends like my chai and ginger bread blends. Usually they all make an appearance at the same time! I want to share with you my top 3 treats for this (or any) time of year. They all keep well so can be made in advance and popped out of the fridge ready to delight unexpected visitors. 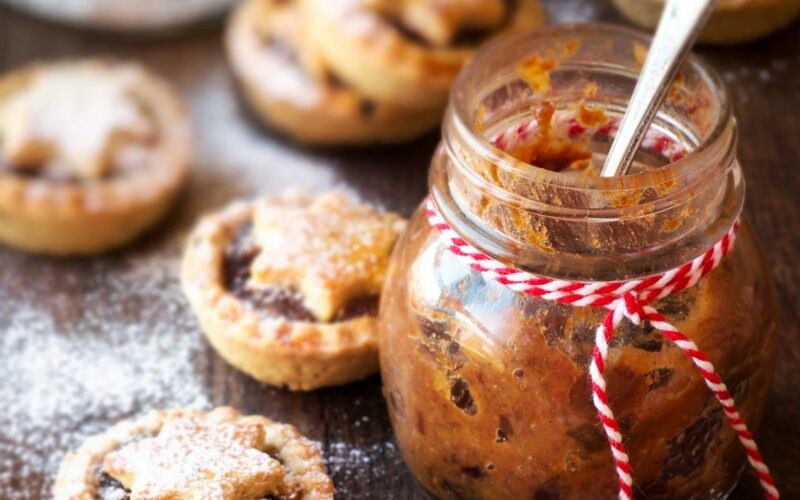 My most favourite food this time of the year – hands down- is mince pies! Yummy. The sweet and spicy fragrance of the sticky filling is so moreish and versatile. I tend to add it to overnight oats (which I then warm in the morning) and to apples when making a classic crumble with a festive twist. Blend the juice, prunes and dates. Add the spice mix and raisins and leave out in a covered container to ferment for 24-36 hours. Stir occasionally. Transfer to the fridge ready to use. Can be used with pastry to make pies, oats for breakfast or to make a festive crumble. I did a tasting at the Daily Bread Cooperative (Northampton) recently and this fudge featured. It was so popular with all the clientele that I thought it was only fair to share it more widely. I had people tell me that it was better than shop-bought chocolate and could not believe the few ingredients they needed to make it. Roughly chop the creamed coconut. This makes the next part easier (and faster!). 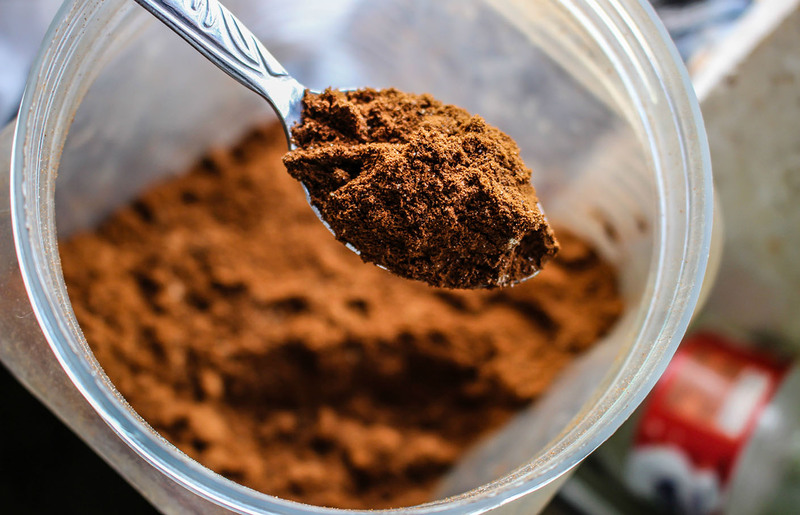 Add all the ingredients to a food processor and blend. Be careful not to overheat the appliance and stop to scrape down the sides regularly. When the mix resembles a smooth fudgy paste, you are done. Put the mixture into a lined tray, garnish with coarse sea-salt and coconut. Allow to set in the fridge for a couple of hours. This is more of an energy-ball concept. Perfect for those times when you need a healthy snack for you or your family. It can be frozen and keeps well in the fridge for up to 2 weeks. It’s a perfect item for both children and grown-up packed lunch boxes too. I like to make this SuperVegan and so I add one of my favourite green blends to it. If you don’t have any or are not a fan, then just omit it. My family and I can hardly notice the potent green powder due to the sweetness of the dates so it’s a perfect way to get extra nutrition in to my 2 little kiddies without them knowing. Sneaky eh?! has a SuperVegan twist – making it even more nutritious. Pit the dates (remove from water if soaked) and put in a processor with all other ingredients. When the mix starts to become sticky and form a dough – add nuts and seeds. 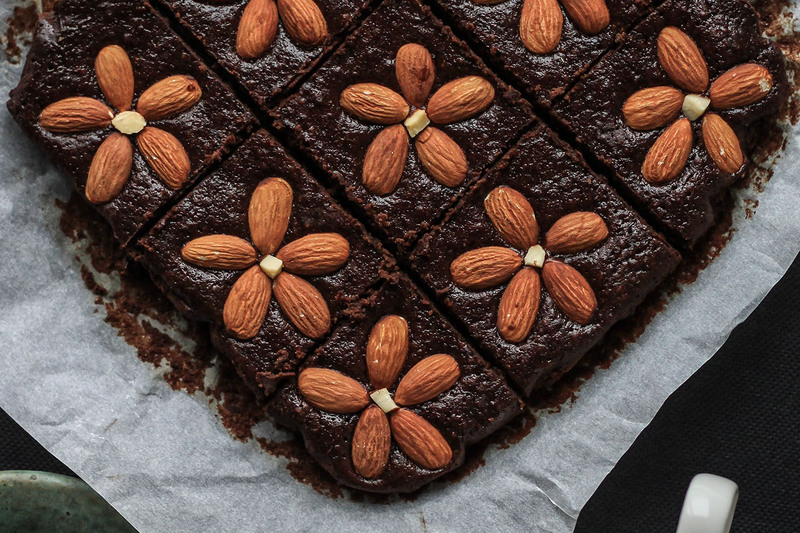 Set in a baking tray, decorate with nuts, pop in the fridge. Slice when firm.